Professional interests are connected with the issue of the role of recovery logistics in creating added value in supply networks; she defended her doctoral dissertation in this area. 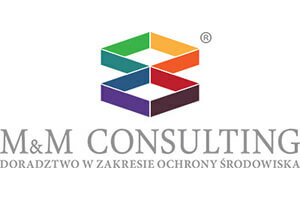 He is a member of the supervisory board in the Polish Chamber of Waste Management. At Eko Cykl, Packaging Recovery Company S.A. he is the president of the board of the company and a co-founder of the shareholder. He is the organizer of the International Logistics Recovery Conference and the publisher of the quarterly with the same title. Since 2011, he has also been the Managing Director at M & M Consulting. Economic science specialist (PhD) in the field of management science, specializes in closed loop supply chain. For many years she has been studying relation between creation of new business models and waste management in the context of sustainable development. Katarzyna Michniewska is the founder of Eko Cykl Foundation, which aim is ecological society development. She is also organizer of numerous charity events like financing of a primary school in Ghana, annual charity balls and auctions. As a private person, she is passionately fond of travelling. She has visited already 24 countries in North America, Europe and Asia. Apart from this she is painting, playing the piano, crocheting and studying foreign languages.